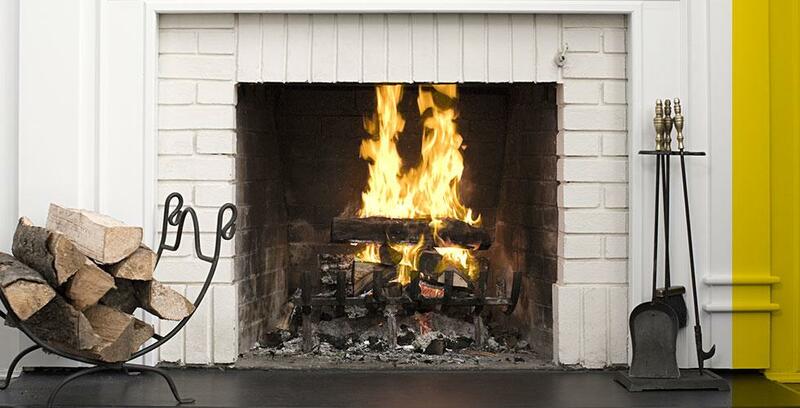 Winter will soon be winding down and with it the season for a cozy fire in the hearth. We hope you had your fair share. To make sure you can look forward to more of the same next year, you’ll need to do some maintenance. If you’re not sure where to start, here are a few tips on how to sweep your chimney safely and effectively. What’s the proper way to sweep? Get a professional to do it for you. The best way to sweep your chimney? Hire a pro. Professionals know exactly what to do. They have the right equipment. They know how to protect themselves and avoid accidents. And they can inspect your chimney, perform whatever maintenance is needed, and explain how to keep your chimney shipshape. It’s true that you’re not legally obliged to have a professional clean your chimney. But you’ll still need one to check the condition of your heating system and make any necessary repairs. And since you really should get that inspection done every spring, professionals are always your best bet. When should you sweep your chimney? Ideally get it done at the end of the heating season, in spring, because deposits are easier to remove at that time. Otherwise the buildup gets more corrosive under humid summer conditions and can eat away at some chimney parts. And by getting your chimney inspected early, you give yourself more time to get any necessary repairs out of the way before the mercury drops again. If you just have to have your fireside time and are lighting the hearth every night in winter, it’s best to get your chimney swept at least once in mid-season. The standard recommendation is about once for every four cords of wood. That too is a ballpark estimate—dry wood produces less creosote, as do certain tree species. The best way to tell if you’re due for a sweep is to check the deposits as they build up. Keep a close eye on things and get the chimney and flue pipe cleaned when the buildup is over 4 mm (1/8") thick. Checking regularly helps you get to know your chimney and how fast it collects creosote. Let your insurer know that you have a fireplace or wood stove, how often you use it, and whether it serves as your main heating system. There you go! You now know how and when to do maintenance on your chimney and how to sweep it safely. Follow these tips and we foresee plenty more cozy winters for you to curl up by a crackling fire. But by all means feel free to get in touch with one of our prevention advisors if you’d like to know more.